This book is undoubtedly one of our books of the year at Liber. A large part of its beauty is down to the illustrations by Shona Shirley MacDonald. We are delighted that Shona will be hosting a workshop in Liber at 11am on November 18th. 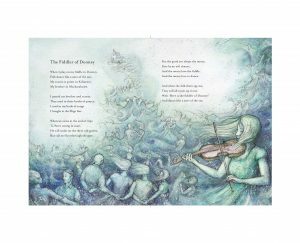 Shona will do a demo, draw for the kids and talk about bringing poems and stories to life on the page. The workshop will be aimed at 7-12year old children and is not to be missed. Places will be limited so it would be a good idea to book a seat by mailing us at libersligo@gmail.com.